Following his death in 2003, the Department of English and Comparative Studies inaugurated an annual Edward Said Memorial Lecture to honour the prominent literary scholar and renowned public intellectual. Said understood criticism to be a 'humanistic activity' encompassing 'erudition and sympathy', sensitivity to 'inner tensions', and an openness to imponderables and mysteries. 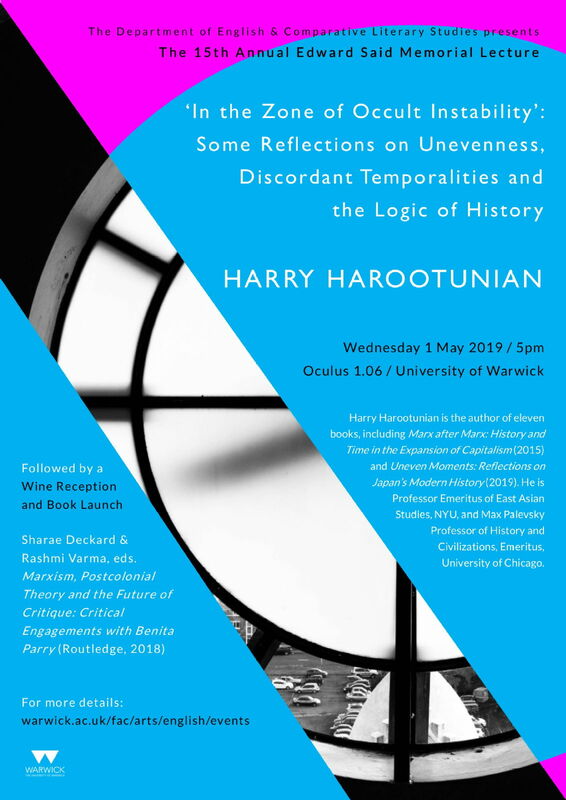 His own finely-tuned responsiveness to the singularity of any piece of writing with which he engaged, is evident in his innovative and surprising interpretations of both canonical and marginalised literature. 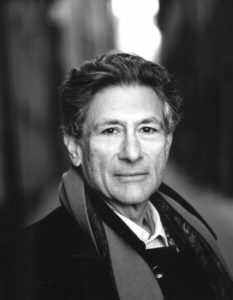 The University of Warwick had twice hosted visits from Edward Said. In 1994 the Department of English together with the Department of Philosophy held an International Conference on his work and the work this has generated. Papers presented at this conference were later published as Cultural Readings of Imperialism: Edward Said and the Gravity of History, ed. Keith Ansell Pearson, Benita Parry and Judith Squires (1997). In 2001 Said received an Honorary Degree. On both occasions his crowded lectures revealed his singular ability to bring politics to scholarship and scholarship to politics. This annual lecture is free and open to the public. More details of some of the previous lectures can be found here. The 2012 lecture, entitled ‘What’s Left in Postcolonial Studies?’ was delivered by Professor Benita Parry. Benita Parry is Professor Emerita of English and Comparative Literary Studies at the University of Warwick. She has published widely in postcolonial studies and the literatures of colonialism and imperialism. Her many publications include the monographs, Delusions and Discoveries: India in the British Imagination, 1880-1930 (1972, rev. 1998) and Conrad and Imperialism: Ideological Boundaries and Visionary Frontiers (1984); the collection, Postcolonial Studies: A Materialist Critique (2004); and the edited volumes, Cultural Representations of Imperialism: Edward Said and the Gravity of History (1998) and Postcolonial Criticism and Theory (1999). You can listen to a recording of the lecture here.